The Walker-Buckler River Ranch is located in the rolling hills of Shackelford and Throckmorton Counties, with nearly 15 miles of river frontage along the Clear Fork. The terrain and vegetation varies substantially, from rolling river and creek bottom pastures, low hilly bluffs, and sandy oak shinnery. 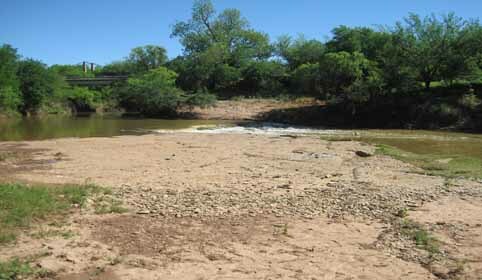 In addition to the Clear Fork of the Brazos River, the ranch also has substantial frontage along Foyle Creek, Peterson Creek and Shirley Creek. Copyright @ 2011 WalkerBuckler All Rights Reserved.